Smoked sausage, broccoli, zucchini, potatoes and peppers with Italian seasoning, roasted together for a quick and easy sheet pan dinner on busy weeknights. 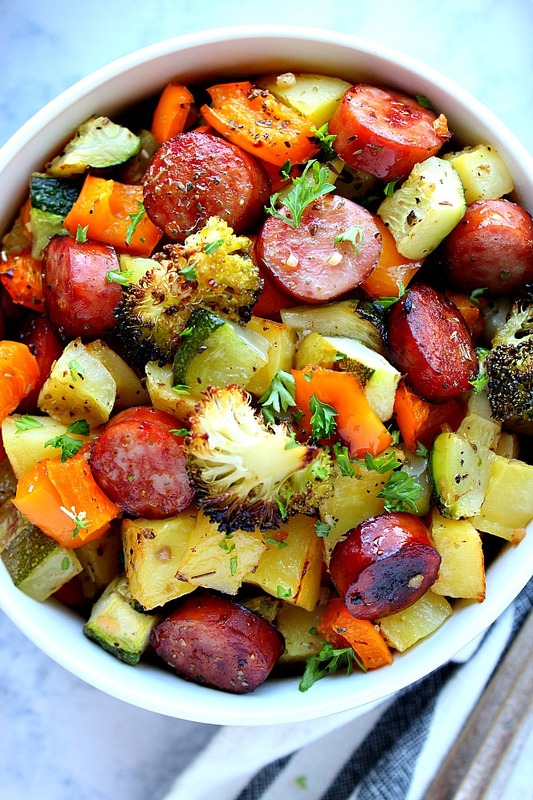 Chop vegetables and sausage into same size pieces. Keep the potatoes a little smaller, since they take the longest to roast. Arrange sausage and vegetables in a single layer on the prepared sheet. Drizzle with oil, season with salt, pepper, Italian seasoning and sprinkle with minced garlic. Toss everything together. Roast for 15 to 20 minutes OR until the vegetables are tender. Flip once halfway through baking time. Serve or keep in air-tight containers for meal prep for up to 4 days. If you think the flavors will go with sausage (or chicken), use any vegetables you have on hand. I used broccoli (my favorite), yellow potatoes, bell pepper and zucchini. You can use red or sweet potatoes, green beans, cauliflower, red onion, squash, Brussels sprouts, even artichoke hearts. Even add chopped apple or pears and nuts! Sheet pan meals are so versatile and you can have a different dinner every night! One note: if you are using Russet potatoes, let them cook for about 7 minutes before adding other veggies and sausage. They will take longer to roast. 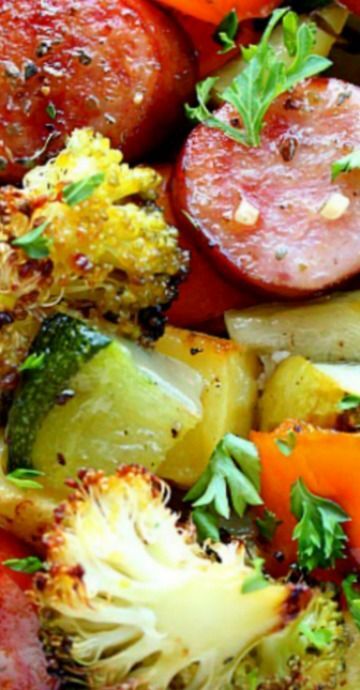 0 Response to "Healthy Sheet Pan Sausage and Vegetables Recipe"